Dazz, a hard-edged, fun-loving Icer, likes fighting, particularly while at his favorite watering hole. However, while recovering from a particularly bad break up, his decision to engage in a brutal pubroom brawl leads to a series of events that thrust him into a dark and mysterious scandal involving King Goff, the ice country ruler. When his seven-year-old sister is abducted in the dark of night, Dazz pledges to do whatever it takes to get her back, embarking on a quest that threatens to rip apart the very fabric that's barely holding his shattered family together. Along the way he meets a group of unlikely allies in the form of a travelling group of fire country natives. Can Dazz, when joined with his best friend, Buff, and new tan-skinned friends, defeat the King and his guards before it's too late for his sister? ﻿Formats Available for Purchase: Paperback (only at Amazon) Kindle, epub and Smashwords. It all starts with a girl. Nay, more like a witch. An evil witch, disguised as a young seventeen-year-old princess, complete with a cute button nose, full red lips, long dark eyelashes, and deep, mesmerizing baby blues. Not a real, magic-wielding witch, but a witch just the same. Oh yah, and a really good throwing arm. "Get out!" she screams, flinging yet another ceramic vase in my general direction. I duck and it rebounds off the wall, not shattering until it hits the shiny marble floor. Thousands of vase-crumbles crunch under my feet as I scramble for the door. I fling it open and slip through, slamming it hard behind me. Just in time, too, as I hear the thud of something heavy on the other side. Evidently she's taken to throwing something new, maybe boots or perhaps herself. Luckily, her father's not home, or he'd probably be throwing things too. After all, he warned his daughter about Brown District boys. Taking a deep breath, I cringe as a spout of obscenities shrieks through the painted-red door and whirls around my head, stinging me in a dozen places. You'd think I was the one who ran around with a four-toed eighteen-year-old womanizer named LaRoy. 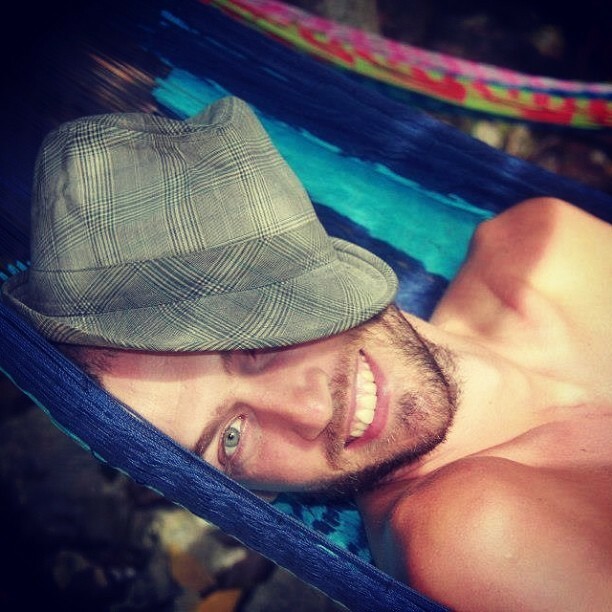 (That's LaRoy with a "La", as he likes to say.) As it turns out, I think LaRoy has softer hands than she does. As I slink away from the witch's upscale residence licking my wounds, I try to figure out where the chill I went wrong. Despite her constant insults, narrow-mindedness, and niggling reminders of how I am nothing more than a lazy, liquid-ice-drinking, no-good scoundrel, I think I managed to treat her pretty well. I was faithful, always there for her--not once was I employed while courting her--and known on occasion to show up at her door with gifts, like snowflake flowers or frosty delights from Gobbler's Bakery down the road. She said the flowers made her feel inadequate, on account of them being too beautiful--as if there was such a thing--and the frosty's, well, she said I gave them to her to make her fat. She was my first ever girlfriend from the White District. I should've listened to my best friend, Buff, when he said it would end in disaster. 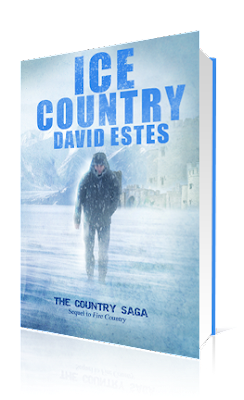 Tour Wide giveaway: 5 e-copies of "Fire Country" (The Country Saga #1) and 2 e-copies of "Ice Country" (The Country Saga #2). There will be 7 winners. Winners have 48hs to claim their prize since the moment they receive the email. 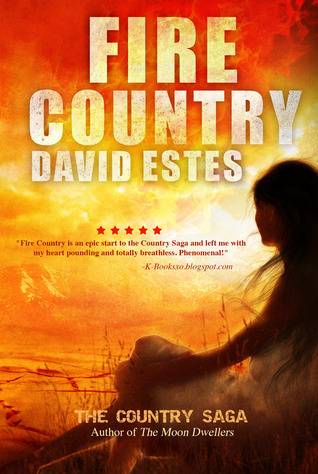 Remember to check BOOK 1 in "The Country Saga": Fire Country. In a changed world where the sky bleeds red, winter is hotter than hell and full of sandstorms, and summer's even hotter with raging fires that roam the desert-like country, the Heaters manage to survive, barely. As the desert sands run out on her life's hourglass, Siena must uncover the truth about the Wild Ones while untangling the web of lies and deceit her father has masterfully spun. Sab The Book Eater: Promo. Laurie's Thoughts and Reviews: Promo. Second Book to the Right: Promo. Happy Tails and Tales: Review. Yay thank you sooooo much!!! I really appreciate all your help and support in getting the word out! Thanks for having David today!